I had registered mine. \(^_^)/ And on this IN page, I had limit the headcount to Protected content but as long as you manage to register with the organizer via EventBrite, you are most welcome to join the walking tour. Once registered, do check that you receive the confirmation email from EventBrite. > Bring along your headphones (compatible with headphone jack). These headphones are harmful to our environment and we are levying S$2 per headphone to encourage all participants to bring theirs. > Wear comfortable clothes and suitable shoes for a 4 hour long walk. > Asthmatic patients are encouraged to bring their inhaler. 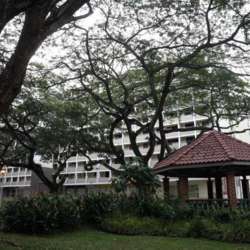 My Holland Village traces the evolution of Singapore's first satellite town from a rubber plantation in the Protected content to a bustling military village in the Protected content and a renowned expatriate centre and tourist attraction in the Protected content .